Home / Entertainment Gists / Bobrisky Writes Epistle For Toyin Abraham, Shoots At Haters. Bobrisky Writes Epistle For Toyin Abraham, Shoots At Haters. Out of all the things the world sees our famous celebrity Idris Okuneye as, our very own transgender Bob is a loyal friend and we can well see this from the epistle he wrote to Toyin Abraham this morning. The two of them have been pictured on set before, they've had breakfasts and there were even rumours about Toyin releasing a movie with Bob in it. 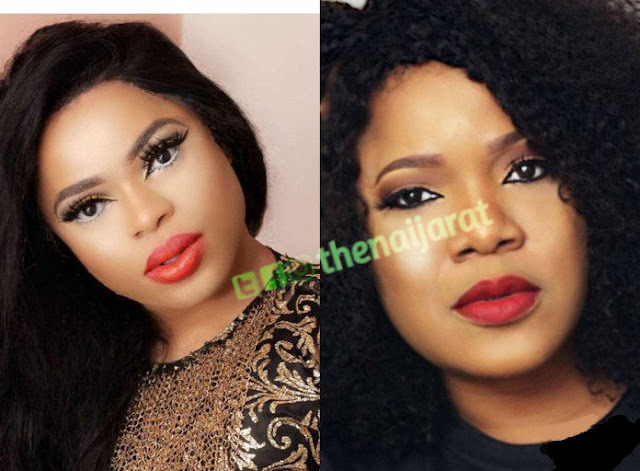 We don't know the full reasons behind why he did this but here is what Bobrisky wrote on his Instagram page with a bold picture of Toyin Abraham.